It’s often said that it’s a small world and in the Jewish community it’s even smaller. The story begins when my grandfather Louis Gomberg was dating my grandmother Essie Fox. One day when Louis was over at Essie’s place, he saw this picture on the wall. Louis was shocked when he saw the picture – his mother and uncle were in the picture! What was this picture doing in Essie’s home? 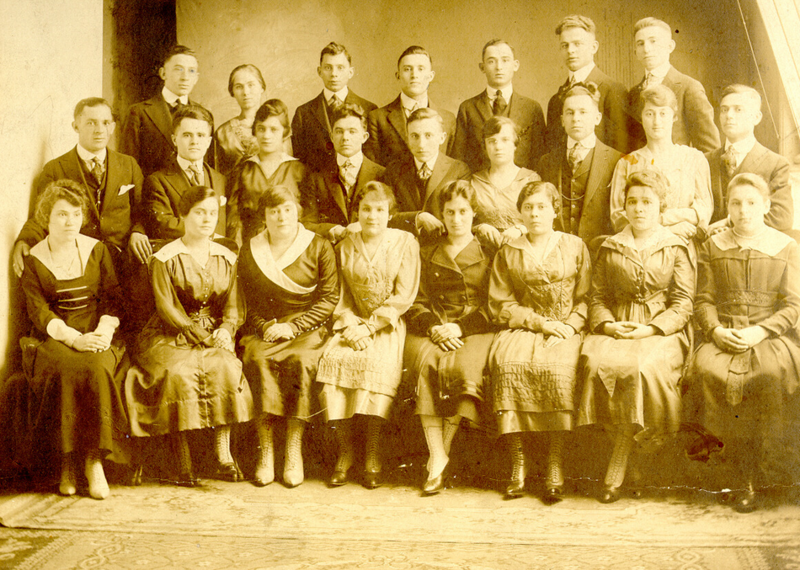 It was a class picture of immigrants to Montreal. I believe they may have been learning English together. Essie’s father, Solomon was also in this picture. 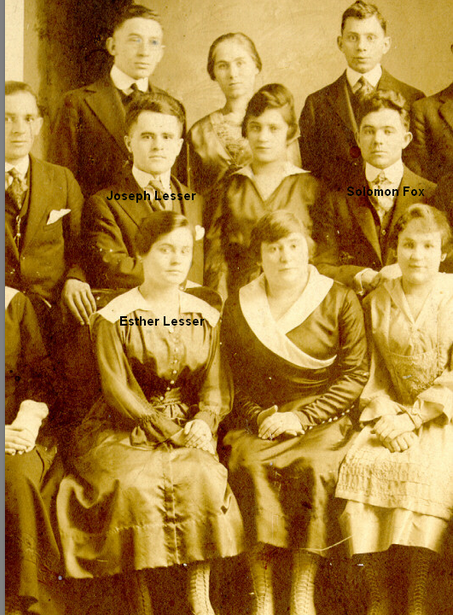 The version below is zoomed in on the left side and the three of them are labelled – Solomon Fox (Essie’s father), Esther Lesser (Louis’s mother) and Joseph Lesser (Esther’s brother). What is most interesting and heartbreaking at the same time is that while Esther and Solomon’s children would go on to marry each other, they likely never saw each other after this class. Esther was diagnosed with diabetes while pregnant with Louis in 1919 and died aged 22 on October 21, 1921 – just 6 months before the discovery of insulin which might have saved her life. Louis also had a copy of this picture, one of the few mementos and pictures that he had of his mother.